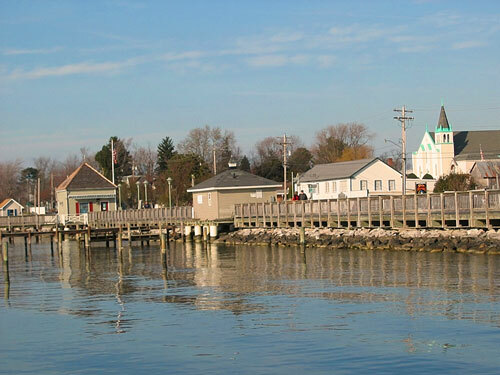 Solomons offers several full service marinas, shops, restaurants, museums, and a boardwalk overlooking the Patuxent. Take a walk along the Riverwalk, and enjoy views of the Patuxent River. The Calvert Marine Museum features exhibits designed to interpret the estuarine biology of the Patuxent River and Chesapeake Bay. The museum includes a discovery room with a “please touch” policy for children. A favorite attraction at the museum is a pair of river otters named Bubble and Squeak who live in a 9,000 gallon tank. The Drum Point lighthouse, a screwpile light moved to this location, is also part of the museum’s collection. And the museum provides tours of Cove Point lighthouse, which is just a few miles away. If you would like to get out on the water, board the Wm. B. Tennison for a leisurely one hour cruise around Solomons harbor and the Patuxent River. The Wm. B. Tennison, constructed in 1899, is the oldest Coast Guard licensed passenger carrying vessel on the Chesapeake Bay. The Tennison is a “bugeye” constructed from nine logs. Originally powered by sail, she was converted to power around 1907 and became an oyster buyboat, purchasing oysters from work boats. In 2014, the museum added an authentic Chesapeake Bay skipjack to their cruising fleet. Public sails aboard the Skipjack Dee of St. Mary’s are available on select dates for the summer. See cruise information for the Wm. B. Tennison and the Dee of St. Mary’s. On these cruises, you will sail the Solomons inner harbor, see Solomons Island and the Chesapeake Biological Laboratory, cruise past the U.S. Naval Recreation Center at Point Patience and pass under the Governor Thomas Johnson Bridge. Cruises depart from the Calvert Marine Museum dock. All cruises are weather permitting. Space available on a first-come, first-served basis. Maximum capacity is 47. Visit the Marine Museum’s website to check on cruises dates and times. Annmarie Garden Sculpture Park & Arts Center is a thirty acre park located on the shores of the St. John Creek. The Garden features a shady walking path, an Arts Building, and a Studio School, as well as exhibits, daily activities, programs, events, and classes. The walking path meanders through the woods past permanent and loaned works of marvelous outdoor sculpture, some of which is on loan from the Smithsonian Institution. Take along a map of all the sculpture or one the fun scavenger hunts for an unforgettable art walk. The new Arts Building houses exhibition space, hands-on activities, a gift shop, and a cafe with an outdoor patio. At the Studio School, you will find classes and workshops offered in a relaxed and friendly arts environment. On the first Saturday of each month, February to December, the gardens hosts the Annmarie Gardens Maker’s Market featuring handmade, homemade, and homegrown products. Market hours are 9:00am to noon. 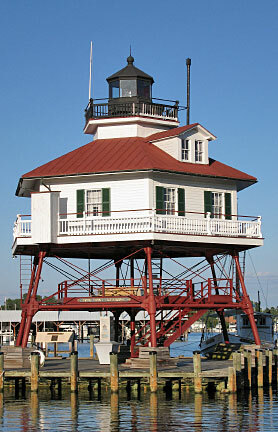 On the tip of Solomons Island, the University of Maryland operates the Chesapeake Biological Laboratory Visitors Center. The center gives visitors an opportunity to learn more about the ecology and natural resources of the Chesapeake Bay. Check the center’s website for hours of operation and times for tours. If you’d like to explore the area by boat, but didn’t bring one of your own, Solomons Boat Rental has boats of various sizes available. You can rent one for an hour or two or for the day. Another option for getting out on the water is to rent a kayak. Patuxent Adventure Center has kayak rentals available. Solomons Island Winery is located just north of the island, in Southern Calvert County. Check their website for tasting room hours. Head south across the Patuxent River to visit Historic St. Mary’s City, the settlement that served as Maryland’s Colonial capital for many years. The historic site is now a living history museum and includes a 1676 state house, woodland Indian hamlet, “The Dove”, a replica of the ship that first brought colonists to the area. Where to Stay? 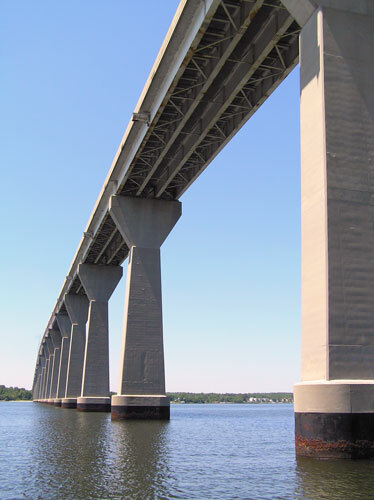 Find Solomons Island Hotels and Bed & Breakfasts. Make the best choice – all your lodging options, traveler rated and reviewed.